Design engineers are continuously faced with a growing need for composite core material that is lightweight and cost-effective with long lasting performance for their applications. Choosing the most suitable core material depends on numerous factors – from the nature and longevity requirements of the application to the physical properties of the foam core, processing requirements during manufacturing, design specifications, cost considerations, and more. In this blog post, we help you choose the right core material by breaking down each of our recommended products’ applications, physical properties, processing requirements and more. General Plastics’ chemistry laboratory manager, Joel Meyer, Ph.D., offers additional insights into foam core selection specifically for aerospace and nuclear applications. For interior applications requiring strict limits to flammability, smoke generation, toxicity and heat release rate, we recommend our LAST-A-FOAM® FR-3800 FST rigid foam core material. This material meets the requirements set forth in FAR 25.853 Appendix F, Parts I, IV and V for flammability properties and all major OEMs’ limits for smoke toxicity. Flammability properties include 12 and 60-second vertical burn tests to measure self-extinguishing time and burn length when the material is subjected to a specified flame. According to Meyer, our FR-3800 FST foams also fall well below the required maximum heat release rate (65/65) and smoke density (200) thresholds at all densities. They also comply with the limits set by all major OEMs for toxicity, making FR-3800 FST a great core material that can be used for composite buildups for most non-load bearing aerospace applications. Looking forward to next-generation aircraft design, we’re expecting more stringent and cost-reducing requirements for composite material when it comes to flame retardancy, including heat release, smoke density, and toxicity. LAST-A-FOAM® FR-3800 FST is the first polyurethane foam to satisfy all of these requirements, all while retaining the important physical properties such as toughness and water absorption that make up a great core material. Combined with other materials, low density FR-3800 FST foam couples aesthetics and fire safety for non-structural applications without the high cost of materials like Nomex® honeycomb or thermoplastic foams. Due to its halogen-free characteristic, it averts the health and safety hazards associated with flame retardants commonly found in other foams on the market. The FR-3800 FST is easy to machine, even complex shapes, produces smooth surface finishes and complies with the European Union’s REACH regulation affecting production and use of chemical substances. The FR-3800 FST series makes it easy to achieve design, performance, budget and compliance goals. Applications include first-class seating pods, sandwich core panels such as cabin class dividers and floor ramps, edge closeouts, and support/shim pieces. This lightweight series is available in densities extending from 3 pcf to 40 pcf, sheet thickness of up to 28 inches, as well as custom sizes/thickness. The FR-6700 series was deliberately designed to satisfy most physical property, flammability performance and processing requirements of multiple aerospace and military specifications. These rigid, CFC-free, flame-retardant polyurethane foams offer a high strength-to-weight ratio critical for many aerospace composite core applications. With their relatively high Tg (275o F), they work well with standard aerospace prepregs and readily support fiberglass laminating production processes requiring higher temperatures – whether crushed core processes with heated platens, or vacuum-bag-type layup processes. Their cross-linked resin and closed-cell structure also make the material highly resistant to water absorption, so it does not swell, crack or split if water is introduced. The FR-6700 Aerospace Core Series is available in densities ranging from 10 pcf-25 pcf, reflecting applications that require its high compressive strength. 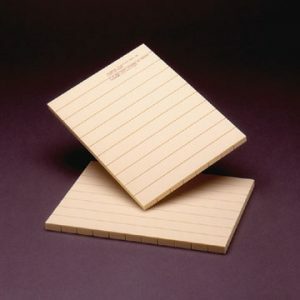 This BMS-8133 spec foam is also offered in a wide range of block sizes. For lower-density foams with comparable physical property characteristics, flammability, temperature resistance and chemical resistance performance, see our LAST-A-FOAM® FR-3700 Performance Core Series. Keep in mind that other than the properties inherent to each specific foam (Tg and CTE), increases in physical properties, whether compressive strength or shear strength, will increase linearly as you increase in density. “There’s a couple of ways to get what you need if there are specific physical properties needed from our foams. You can move between the foam series to take advantage of the varying physical properties from each respective family of foam. The other way to do that is to vary the density, which increases the physical property performance of the foam as the density increases,” Meyer says. This toughened foam series pairs exceptional impact resistance with outstanding fire and crash protection properties, making these rigid polyurethane foam products ideal for creating nuclear material casings and shipping containers. 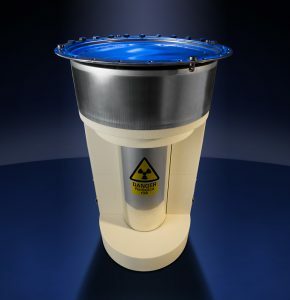 In fact, the LAST-A-FOAM® FR-3700 is the most used material found in nuclear containers that is certified to support radioactive material (RAM) package design in mitigating both mechanical and thermal energy. RAM regulations frequently require energy absorption of 30-foot free drops and exposure to a 30-minute fire at 1,475° F, simulating accident conditions. The formulation is specially designed to allow predictable impact-absorption performance under dynamic loading. Concurrently, it creates an expanding intumescent char layer that insulates and protects hazardous materials, even when exposed to pool-fire conditions. What our intumescent video to see what happens. Another critical feature of the LAST-A-FOAM® FR-3700 series used as composite core for nuclear material containers is its documented life-cycle traceability. As “spec” foam with a successful track record in nuclear applications for various government projects, it reflects General Plastics’ robust quality and traceability systems. The company also meets such demanding quality systems as NQA-1 and MIL-I-45208A. Provides a high modulus and 270° F glass transition temperature (Tg). 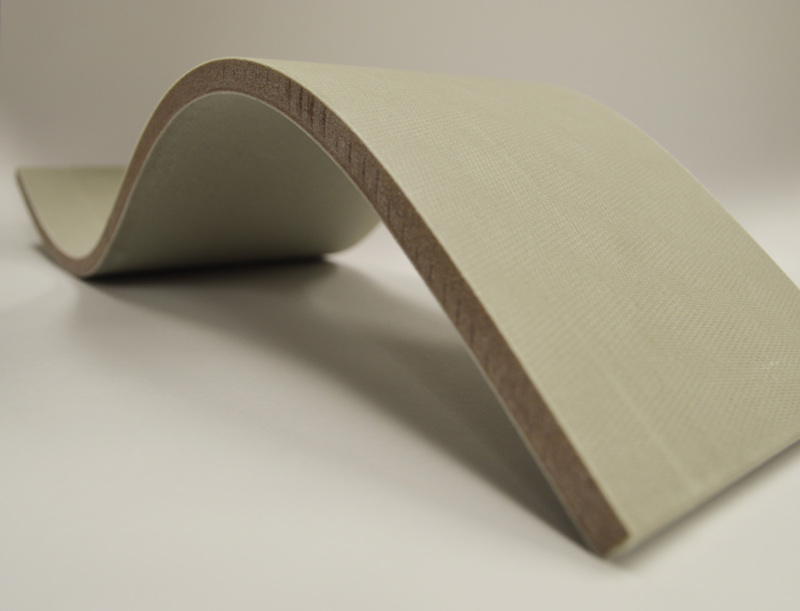 General Plastics’ LAST-A-FOAM® composite core products deliver long-lasting performance and uniformity over time and offer an excellent alternative to wood, honeycomb and metal. LAST-A-FOAM® products are non-decaying polyurethane composite cores that support fiberglass laminating, are flame-retardant, strong and light weight, durable, resistant to chemicals, and extremely cost-effective. General Plastics’ meets such demanding quality systems such as NQA-1 and MIL-I-45208A. Our LAST-A-FOAM® composite core foams deliver unsurpassed, long-lasting performance for these critical applications as a result of their unique formulations and consistent properties. Through our rigorous documentation and certification, we know exactly what we are selling to customers every time, and can trace everything from raw materials and intermediates to how and when it’s made. According to Meyer, customers can request this information at any time. For all inquiries, we recommend that customers work with our sales team in finding the right product for their application. Our expert sales team can help identify the optimal density based on that specification.